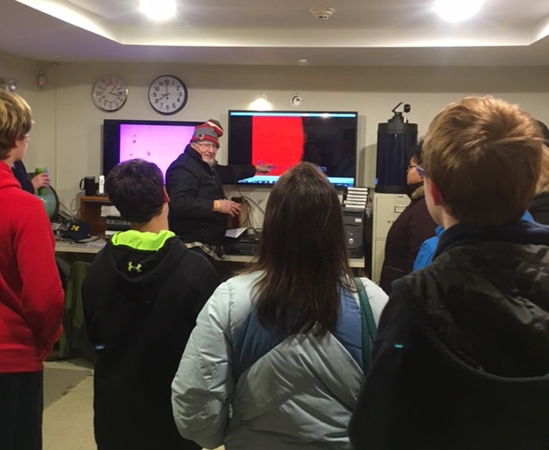 A recent evening at the Werner Schmidt observatory allowed the students a look into the real world technology required to view celestial bodies in our Solar System, as well as outside our Solar system. 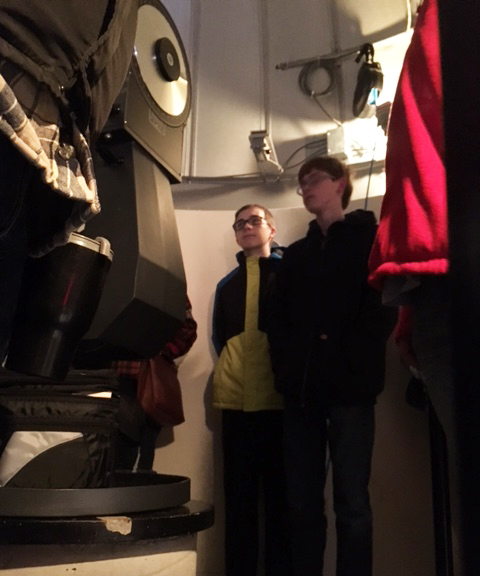 The manipulation of the tools, paired with the actual viewing of celestial bodies in motion, allows the students to develop concepts of the models of the Earth, Sun and moon systems paired with the relationship of motion with gravitational orbital motions of the planets, and their moons in the solar system and beyond. 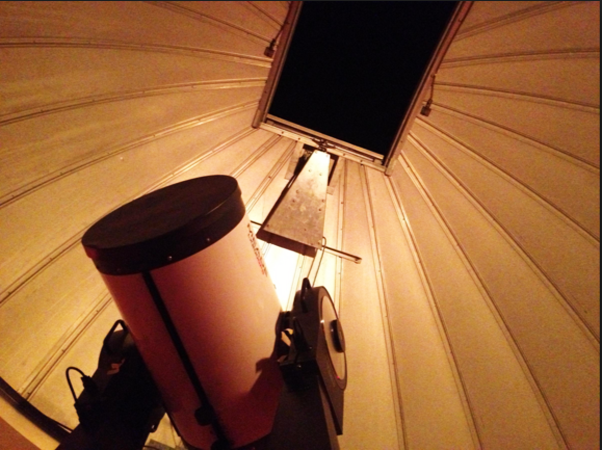 The Werner Schmidt Observatory is located at Dennis-Yarmouth High School, and is a project of the Cape Cod Astronomy Society.